East Coast Concrete Systems, LLC. A personal message from East Coast Concrete Systems, LLC. Rate and review East Coast Concrete Systems, LLC. in Clayton, NC, United States! 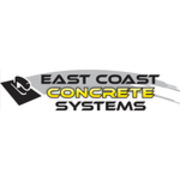 Share your experiences at East Coast Concrete Systems, LLC. with your friends or discover more Flooring in Clayton, NC, United States. 12th & Oak Floor Co.